It was a bittersweet day for both the New York Mets organization as well as their fan base as one of the most well-decorated careers in Mets’ history has come to an end. Mets CEO Jeff Wilpon announced that Third Baseman and Captain of the Mets, David Wright will be re-activated on September 25 and will start at third base on September 29 at Citi Field against the Miami Marlins. 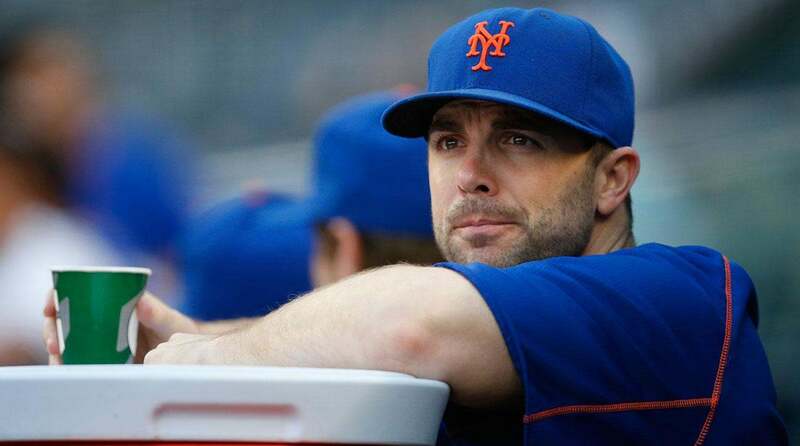 However, Wilpon also announced that Wright is medically unfit to continue his career following that afternoon. On this edition of The SMC Sports Podcast, I gave my thoughts following the David Wright press conference. I discussed him playing one final game at Citi Field as well as giving credit to both the Wilpons and Wright for coming to this compromise. Take a listen! David Wright’s career will go down as one of the best in Mets history. Wright made his debut in 2004, he was a seven-time All Star, won a Gold Glove and the Silver Slugger award twice; he hit 242 home runs in his 14 years with the club, and is the all-time Mets leader in hits, doubles, extra base hits, at bats, and walks. Wright became a free agent in 2012, the same year he finished 6th in MVP voting and had one of the better years of his career. Instead of signing to a championship contender, he re-signed a long-term deal with the Mets simply because he wanted to stay and be apart of the next championship team in Mets history. 10/30/15: David Wright hits a two-run homer to give the Mets a 2-1 lead in the bottom of the 1st inning Check out http://m.mlb.com/video for our full archive of videos, and subscribe on YouTube for the best, exclusive MLB content: http://youtube.com/MLB About MLB.com: Commissioner Allan H.
One big fantasy Mets fans have had all year is Wright and Shortstop Jose Reyes playing side-by-side one last time, as these two were the two youngest, but two most productive pieces in the 2006 NL East Championship Mets team. Asked if he will honor David Wright’s wish to play alongside Jose Reyes one last time on Sept. 29, Mickey Callaway responded: “Absolutely.” “They probably both deserve that,” Callaway said. There is no doubt that Wright has always represented the orange and blue to the best of his ability. He has been the epitome of class in the Mets organization since being called up in 2004 – all the way to his retirement press conference. I’m not saying we should compare Wright to Derek Jeter, but for Mets fans, Wright is their Jeter, which is going to make saying goodbye very difficult. One thing is for sure, in the midst of one of the worst seasons in Mets history, the organization will have an opportunity to give the fans something to smile about in the final weekend of the season. On September 29, we will see the close of one of the greatest careers in the history of the Mets. It may not have been exactly on Wright’s terms, but he will have one final opportunity to say goodbye to the fans that love him endlessly. As unfortunate as it is to say, this is the right move by both parties, and I applaud both Wilpon and Wright for coming to this compromise. While it’s going to be hard and unfair, it is time to say goodbye to the Captain, David Wright. What are your thoughts on David Wright announcing his retirement? Let me know in the comments below and by following me on Twitter @SMMcChesney, and follow all my MLB posts and articles all season long.